We at Culver Art & Frame are pleased to provide you with this website. Our goal is to provide you with the best products and services available at competitive prices. We work hard to maintain adequate inventory levels to keep back orders to a minimum and supply you with what you need when you need it! Culver was founded in 1900 by Frank Culver and was owned by the Lehman family from 1941 to 2005. The company flourished during the 1920’s handling items such as cedar chests, framed mirrors and even held a patent on an automobile lens cover. Today, Culver has evolved into a regional distributor to professional framers and photographers carrying a large inventory of wood and metal mouldings, matboards, foamboard, readymade frames, TAP folders, wedding albums and other supplies. Starting in August of 2017 we are now offering printing services from large-format, flatbed printing to small prints. Contact printing@culverframe.com or call us for details and pricing on fine art, photography and canvas printing, wall or sidewalk graphics and banners. Culver became a member of The Chilcote family of companies in 2005. Chilcote, founded over 100 years ago, is a manufacturer of photo mounts and albums. Culver Art & Frame became a part of International Moulding April 1, 2011. With an even larger network of companies to draw from we have more buying power and can offer a greater selection of product and services. Our 23 employees, who average nearly 27 years experience each with the company, are the key to our success. From our shippers, cutters, and quality control people to our customer service and sales reps we are committed to providing you with a quality product. If you are not satisfied with the quality of anything we send you, we will replace it or take it back, no questions asked! 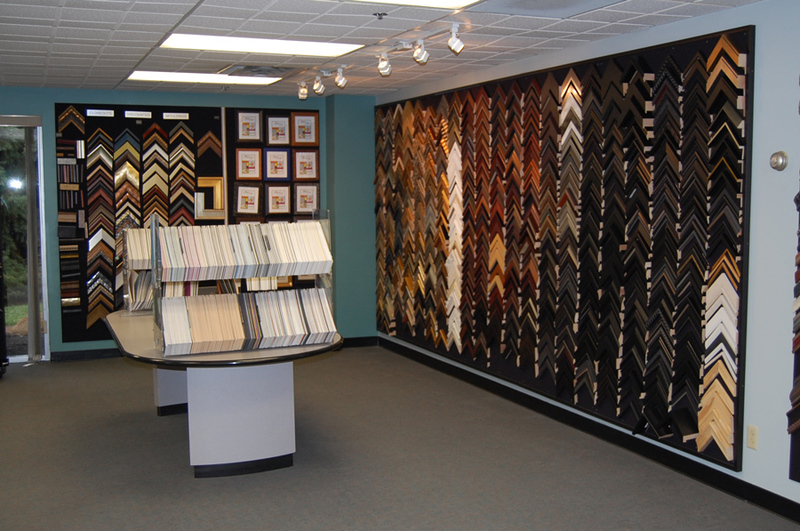 Please let us know if you are not treated with courtesy each and every time you contact The Culver Art & Frame Company.